Apples and Carolina Pride smoked sausage make the perfect pair. 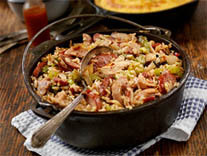 This dish is great for breakfast, lunch or dinner. Preheat oven to 400 degrees F. In a medium bowl, mix vegetables, oil, egg, brown sugar, quick cooking oats, whole wheat flour, buttermilk, baking powder, salt and baking soda. 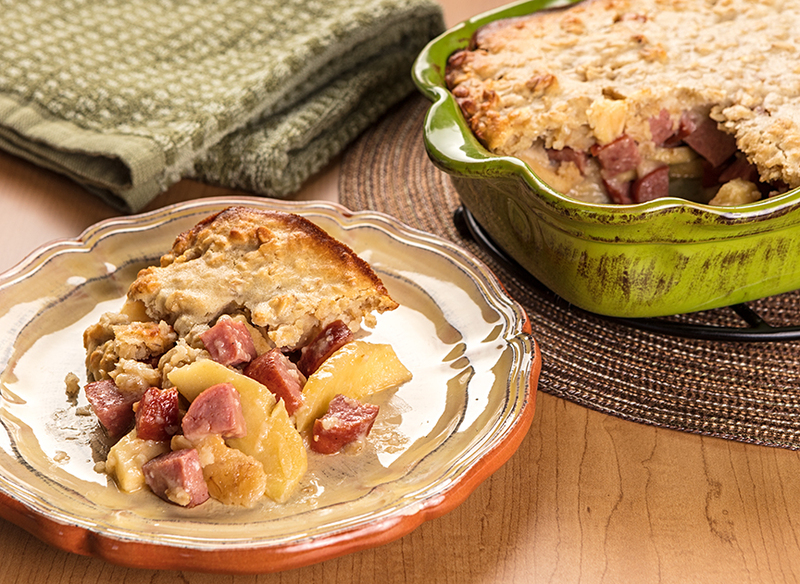 Place apples and Carolina Pride™ sausage in a medium baking dish or cast iron skillet. Pour the batter mixture over the apples and sausage. Bake for 20 to 25 minutes in the preheated oven, until crisp and golden brown.